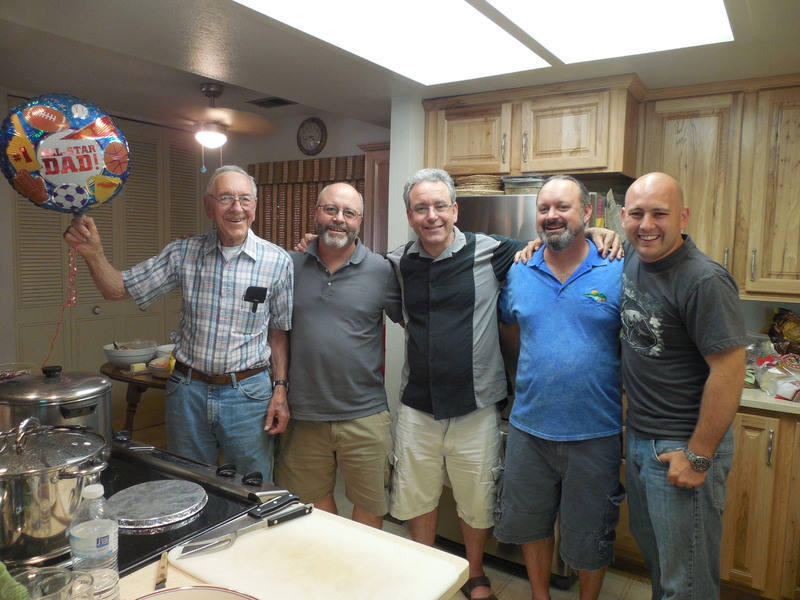 Fathers’ Day, our parents’ anniversary, and a couple of birthdays all came at the same time, so we rolled them into one summertime celebration. 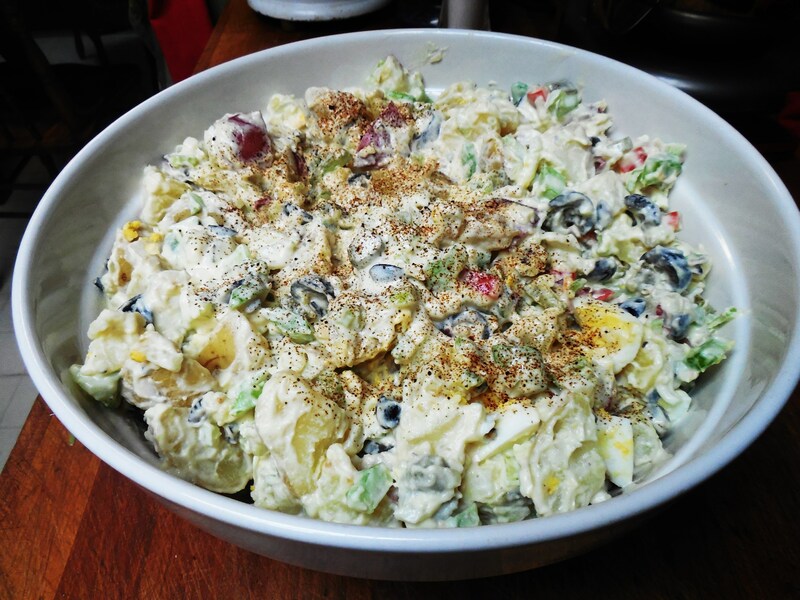 I made this potato salad for the occasion. Everybody loved it, and a few people asked me for the recipe. So here it is – just in time for the Fourth of July! Boil the potatoes till they are soft enough to easily pierce with a fork. I like to boil the potatoes the evening before I make the salad. 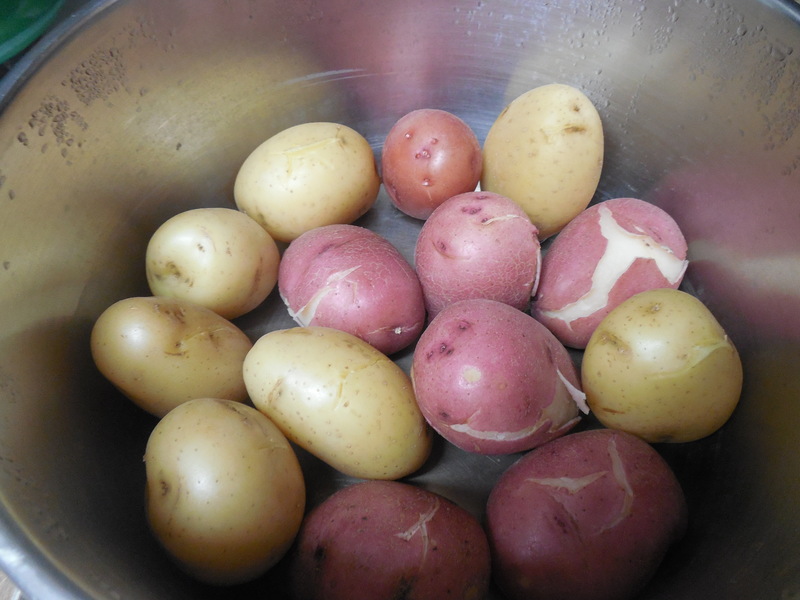 I boil them whole, drain the water and let the potatoes cool in the pot overnight. 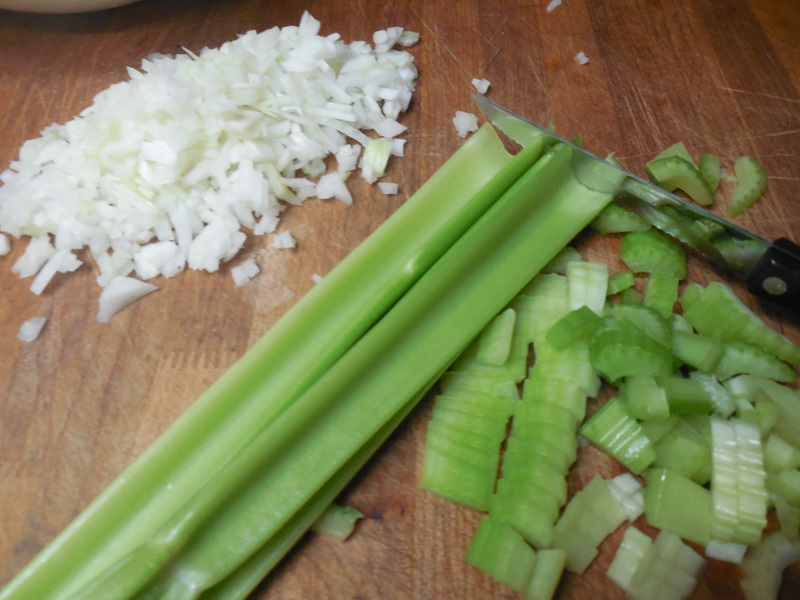 Dice the onions, pickles, peppers and celery, and mix in a large bowl. Add the mayonnaise and mustard and mix well. Add garlic powder, mustard seed. Chop olives and eggs and mix them in. Dice the unpeeled potatoes and stir them in. Since this potato salad was so popular with my family a few weeks ago, I gave it a reprise this weekend with the other side of the family. 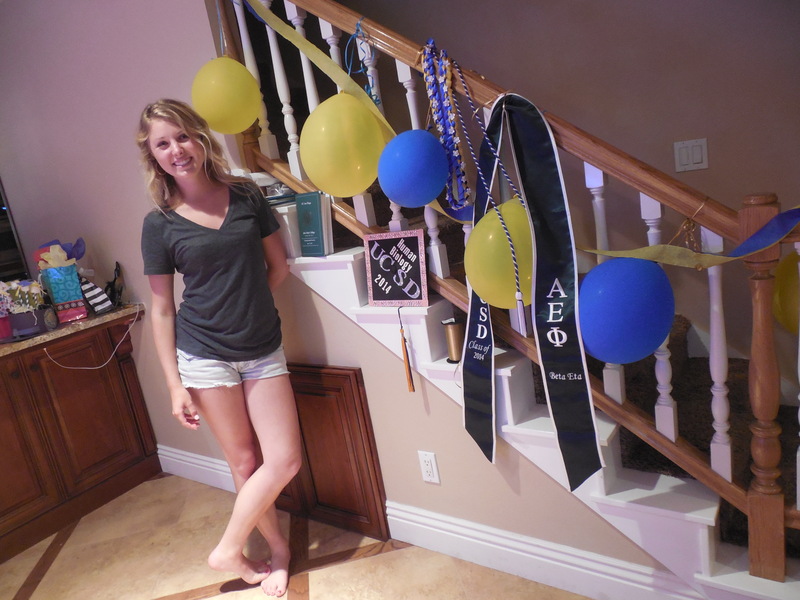 We had a party to celebrate my niece’s graduation from UC San Diego. Since UCSD is blue and gold I obviously couldn’t use RED and gold, so I substituted new white potatoes and it was just as good! Congratulations Hannah! Categories: Uncategorized | Tags: hard boiled eggs, potato salad, red bell pepper, Yukon gold potatoes | Permalink.